Like the Answer™ Two-Door, the One-Door is not made to be artificially heavy. It’s lighter as it is narrower, and allows you to get straight-line access to 8 firearms. And, at only 18″ deep, the Answer™ One-Door will fit just about anywhere! Dimensions (external) 59-7/8" x 24" x 18"
Dimensions (internal) 59" x 23 7/8" x 17"
Height: 59-7/8" | Width: 24" | Depth: 18"
Safe delivered and installed same day. One man installation. Answer Model 8 installed same day, by myself. Curious as to what the walls of the cabinet are made of and the thickness of the steel. Is it 12 gauge all around? The Answer™ is fully welded, 12 gauge steel all around. I have been doing a lot of research on safes in the past 4 years. Was never satisfied with any safe that I came across, so I never bought a safe. I just kept my guns locked up individually and stored away in the closet. That worked fine for me since my kids cannot operate a gun yet, in any way (oldest kid is 3). However, I want to buy a few more guns and get into reloading. My wife said, before you buy anymore stuff, we should get a safe. There are cheaper options, but they require help in order to move. That being said, the Answer Model 8 can be moved by one person and installed by one person. It is even easier if one removes the door (keep track of pins and ball bearings). Now, this is an expensive safe, but it can fit in a closet, it can be moved by one person, installed by one person, and it is modular in that you can adjust everything to some degree. Overall, if one is ready to spend the money, wants the safe in their closet, and doesn’t have help to install it, this safe is awesome. is there add on for shelving? i’ll probably have more handguns that long guns so the shelves would accommodate me better. If the battery powered electronic lock fails since you don’t use a key backup, how do you get the safe? I’m guessing the cover ring on the lock can to removed and the battery is outside, but if the locks itself fails how do you get it open? Please email our tech experts at support@secureittactical.com for assistance with your question. Thank you! This does not have the Knockdown Technology™ that the Agile™ product line has. The Answer™ is a fully welded storage system. However, the doors can be lifted off the hinges to lessen the weight while moving the cabinet. Be aware that there are bearings that may fall out of the hinge. If they do happen to fall out, they can be simply put back into place. No, the Answer 8 does not have a key back-up feature. Can I buy an Agile 52 with the SecuRam lock? Like you used to make it? Thank you for your question. The original keypad for the Model 52 was not a SecuRam lock. At this time, we do not have any intention of changing the lock that comes with the current generation Agile 52. I’m contemplating a corner basement location raised on concrete block floor with reinforced concrete block wall on opposite open side and also a reinforced integrated 3” concrete slab on top. I was also going to line enclosure with spray foam before bolting safe inside. I thought this would address flood, fire and side attacks. What do you think of idea. Also does this safe have re-locking mechanism? Hello Chris, the Answer cabinets do have a relocking mechanism that locks the safe if the lock is tampered with. For any other info or suggestions please email support@secureittactical.com or call 800-651-8835 and ask for Fred. He will be able to answer any of your questions. Thank you! Can the doors be removed to make it lighter for moving around? Hello, the doors can be removed we recommend placing the bearings in a special place so they do not get lost in the move. If you have any other questions please email support@secureittactical.com . Thank you! Can models purchased with the hinge on the left? Unfortunately, we do not carry it with left hinges, it comes as shown in the picture. I have been watching this company for a year now. I almost pulled the trigger on the Agile but I waited and I’m sure glad I did. The Answer8 is the perfect safe. The construction and design is perfect. Its the balance I was looking for between a very expensive heavy safe and a light movable safe. At 285lbs its manageable yet still solid and heavy enough. Between and cradlegrid system, 12ga steel construction, its a win win. I highly recommend this safe. How is this safer from break ins than other 12 gauge safes? On the Answer model 8 and model 12, if the door is in the open position can it be lifted off the hinges? 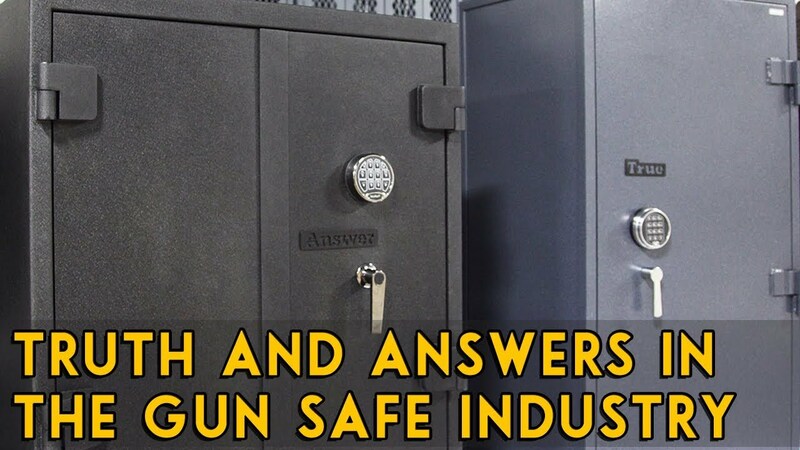 This question is for the “answer” line of safes. Is the back exterior solid or the slots for the bins like the way it looks inside? The back exterior is solid. The inside does contain the louvered grid panel, which is welded to the back wall of the cabinet. My question is same as Brett, but his wasn’t answered. 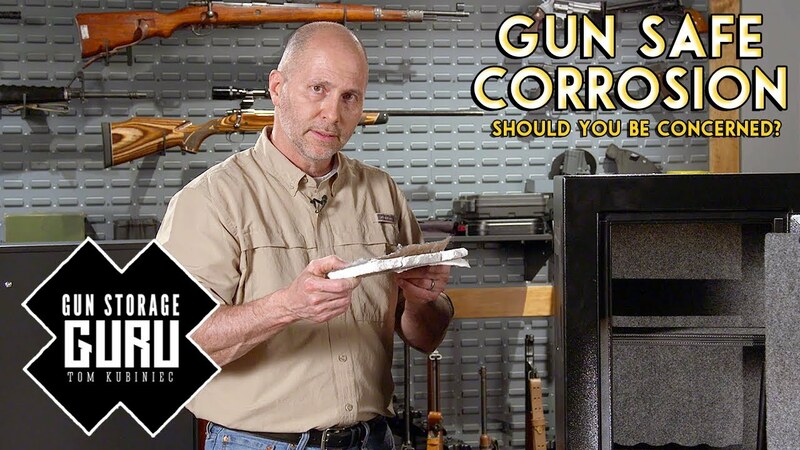 I’m very much interested in getting one but I have my doubts, So how will safe handle any different with break ins vs a glorified cabinet “Safe” that is of the same 12 gauge steel?